Social media is not a static creature. As we have seen, it is a powerful force for both good and bad. And it’s just a toddler now. What is coming up? There are quite a few trends in social media that can be used in special libraries to promote services and products. Whether you’re in charge of social media in libraries, or are tasked with promoting your library, these trends will matter to you. Mentioned as trend 13, above, social listening is the practice of tracking your conversations that revolve around specific phrases, words or brands. Then you leverage those words or phrases to find new opportunities to create content specifically for those audiences. It’s certainly much more than just seeing who’s commenting on your new Instagram post. Social listening tools allow brands to analyze and reflect on their audience’s actions. Additionally, organizations can track overall brand health, create better marketing campaigns and ultimately improve customer experiences. There are lessons for special libraries here! Social media networks that are internal to your organizations will also see a rise in popularity. Tools like Yammer, Zoom, Slack, and others will continue to experience phenomenal growth as organizations seek to exploit the organization’s overall knowledge and networks. As librarians, we often represent and are hosted by organizations that zealously protect their “brand(s)”. Often, we are involved in current awareness tracking and more reputational scanning. This, of late, has gotten very complicated and will get more complicated and complex over the next few years. It will be a roller coaster to keep up! Therefore, it is incumbent on us to wade in and evaluate all of these social media environments and know the ones useful to our organizations as well as, at a very minimum, monitor them all. Whew! Are these trends going to completely change how brands and consumers use social media? I doubt it, but we’re in for one interesting year. If you want to remain competitive in the world of social media marketing, and prevent your competitors from getting ahead of you, stay tuned to the latest changes, and don’t hesitate to update your information scanning and awareness practices to adapt to new trends, expectations, and opportunities. Stephen Abram is a popular Lucidea Webinars presenter and consultant. 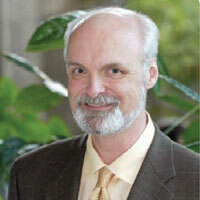 He is the past president of SLA, and the Canadian and Ontario Library Associations. He is the CEO of Lighthouse Consulting and the executive director of the Federation of Ontario Public Libraries. He also blogs personally at Stephen’s Lighthouse. Check out his new book from Lucidea Press Succeeding in the World of Special Librarianship!. See also Stephen’s growing list of posts on tech trends in libraries on Think Clearly.